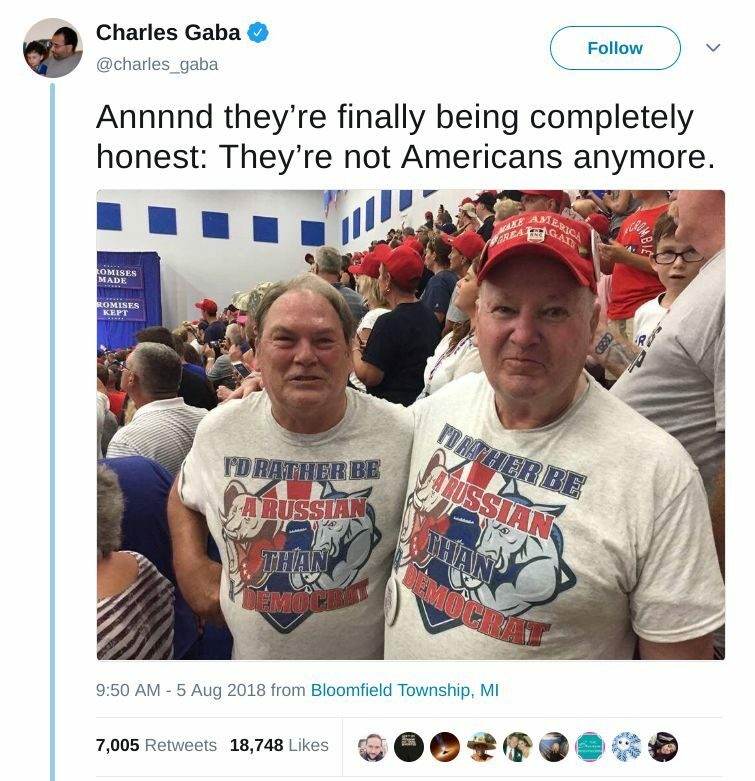 A photograph of two men wearing "I'd Rather Be a Russian Than a Democrat" t-shirts was taken at a rally for President Trump in Ohio. 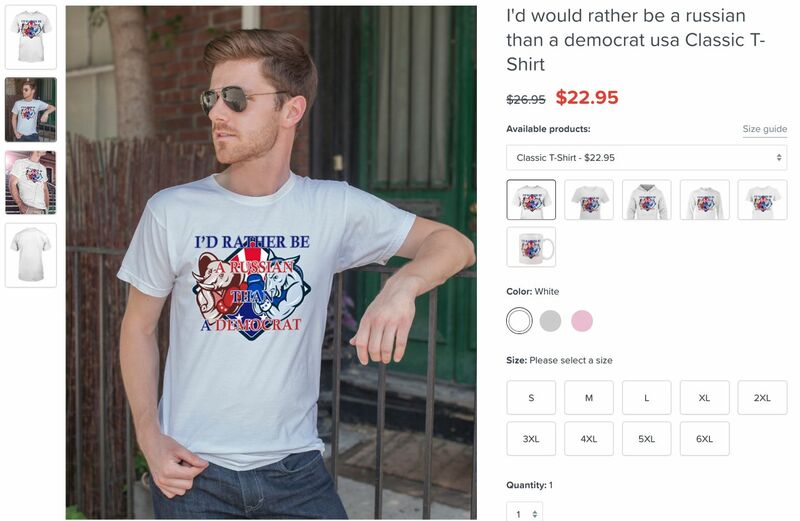 A photograph shows two men wearing "I'd Rather Be a Russian Than a Democrat" shirts at a rally for President Trump. 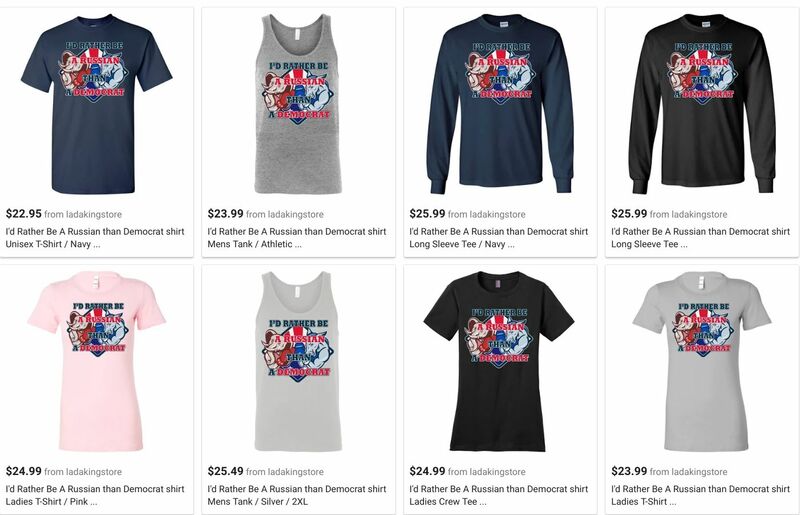 Some viewers who encountered this image online were so bewildered by the shirt’s message — Would supporters of an American president really voice support for a hostile foreign power over their fellow Americans? — that they wondered if the photograph had been doctored in some way. The photograph, however, is real. Pelzer identified the two men as James Alicie and Richard M. Birchfield and reported that the two men decided to attend the rally because they had never seen a U.S. president in person. It’s unclear who manufactured the t-shirts seen in the viral picture. We’ve reached out to Teechip, a vendor that sells these shirts, for more information.